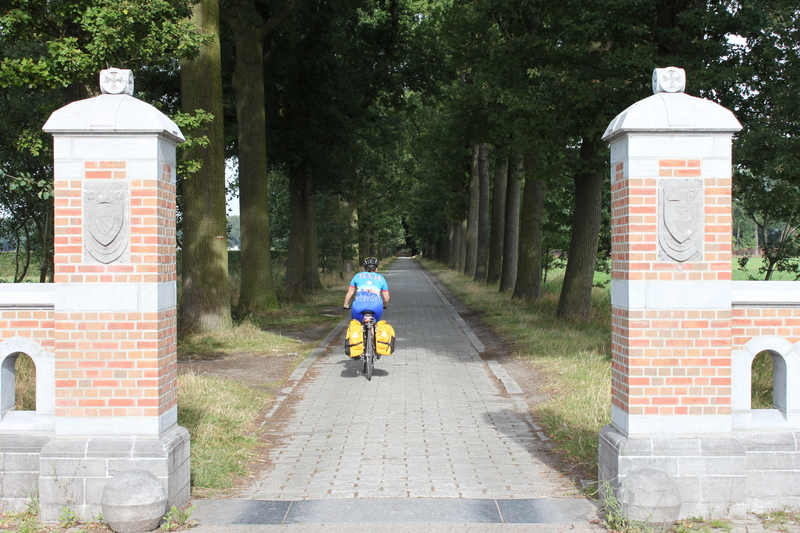 The route from Westmalle to Tillburg is made up of very long, very flat, easy to navigate bike paths. However, check what’s going on in the major cities before you cycle through. We hit Tilburg on the day of their annual ten mile run and all the streets were shutdown. This added nearly an hour to our trip. Today we headed to Tilburg, The Netherlands…Home of La Trappe! 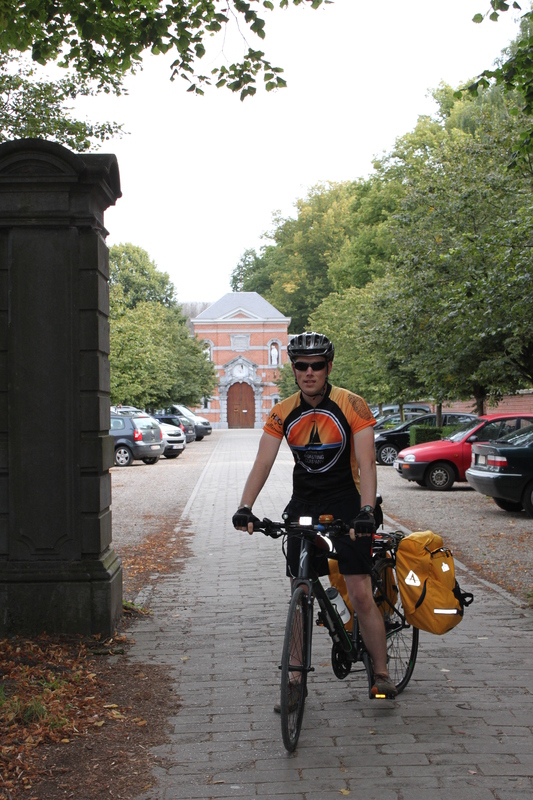 Before we officially headed out, we took a quick windshield tour of the Westmalle abbey! It was nothing fancy, but still cool to see our first Trappist Abbey! 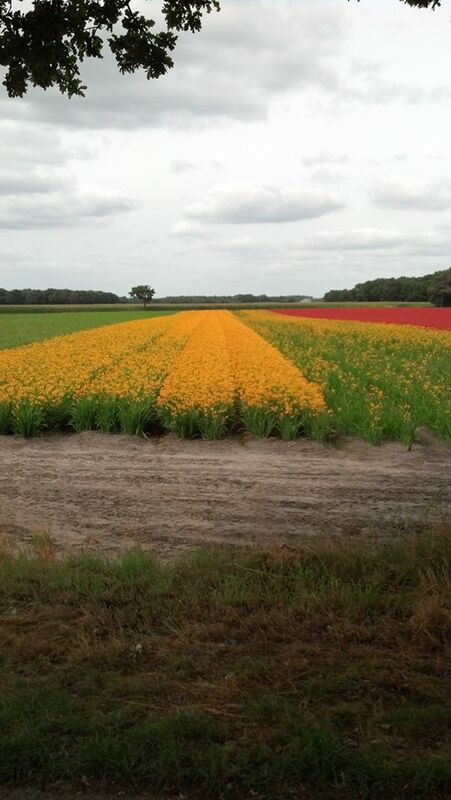 Our trek to Tilburg was fairly uneventful…farms, pigs, cows, pig crap. Of course, the planned 23 miles magically morphed into 32. This is becoming an unpleasant trend! 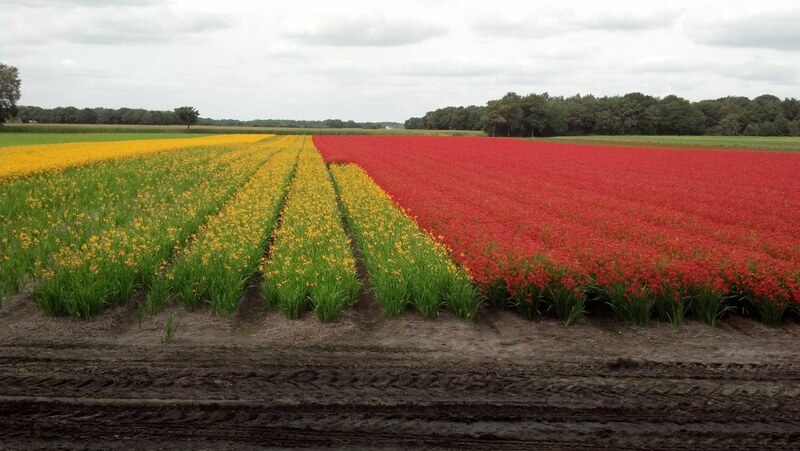 We did however get an incredible view of a beautiful Dutch flower farm! However, once we hit Tilburg, things got a little more interesting. We unexpectedly rode through the city during the annual Tilburg 10 mile run! What should have been a quick 5km ride to the hotel turned into an hour long, bike walking adventure. Note to future travelers-If you’re riding through the middle of a city, check their event calender. We could have avoided the closed streets and crowds if we only checked beforehand! We’re waiting to hit La Trappe tomorrow on our way out of town. In the meantime, we walked into town to grab some much needed food and happened upon a small beer bar called Burgemeester Jansen. Awesome beer selection (they randomly had an Anchor beer on tap), and a local atmosphere. There was even a doggy in the bar! If you’re looking for Westy 12 they usually have some in the back, but you’ll have to ask because they don’t advertise it. If you’re ever in Tilburg, check it out! Previous La Tour de Trappe Day 1 – to Westmalle!